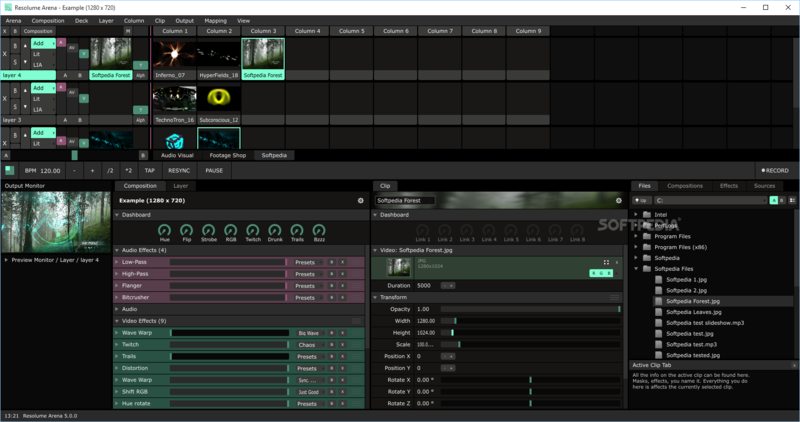 Resolume Avenue 6.1.2 – An instrument for VJs, AV performers and video artists. Next story iNet Network Scanner 2.6.4 – Displays info about local network connections. Previous story Resolume Arena 6.1.2 – A live video performances tool and a media server. iVI Pro 3.334 – Add videos to iTunes with a simple drag-and-drop. Permute 2.1.6 – Easy-to-use, drag-and-drop video conversion. Modul8 2.9.0 – Real-time video mixing and compositing.